Hundreds of people lined up in Hoboken Wednesday morning, some having stayed overnight, for a chance to get low-income housing in the city and in Weehawken. City police estimated that roughly 800 to 1000 people were waiting outside the Hoboken Elks Club on Wednesday morning to apply for the Section 8 Housing Choice Voucher Program, a rental assistance program available to certain low-income families. 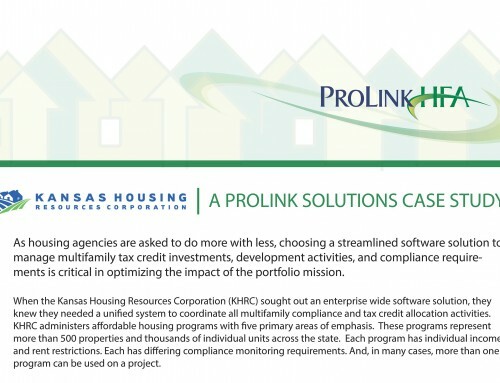 There’s a high demand to just get on the waiting list for the rental-assistance program. 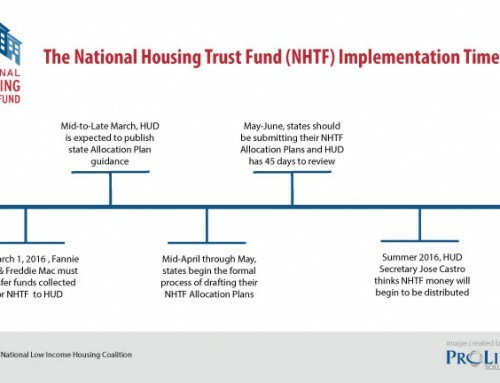 The Hoboken Housing Authority hasn’t accepted waiting list applications for its Section 8 program since 2004. Articles like this appear daily in newspapers and news sites across the country. They reflect an uncomfortable reality that gives lie to the American dream: that if one just works hard (and maybe practices Puritan thrift), a cozy home with a patch of green grass will be the reward. But for millions, this truly is a dream. Despite the sacrifice and efforts of our nation’s HFAs, PHAs, developers, investors, and countless non-profits and volunteers… there just isn’t enough affordable housing for everyone who needs it. This isn’t for lack of dedication, expertise, or effort… it’s an overwhelming problem with no easy solution. What we need is a miracle. In the closing plenary of NCSHA’s Annual Conference & Showplace, Harvard’s Joint Center for Housing Studies (JCHS) Acting Managing Director and Research Director Christopher Herbert shared sobering facts and statistics. The average American makes less money than ever. “Between 2007 and 2012, real median household incomes dropped 8 percent among 25-34 year olds and 7 percent among 35-44 year olds.” According to the JCHS’s annual State of the Nation’s Housing report, real median household income in the US is the lowest it’s been in 20 years. Despite goals of homeownership, there are fewer homeowners. While we’re seeing signs of a housing recovery, home prices are increasing faster than incomes, credit availability, and debt reduction. And, to our nation’s discredit, there is still a large gap when it comes to minority homeownership. More people than ever are struggling to pay for housing. In 1960, less than 25% of American households were severely or moderately burdened by their rent—which is defined as spending 30-50+% of a monthly household income on housing. 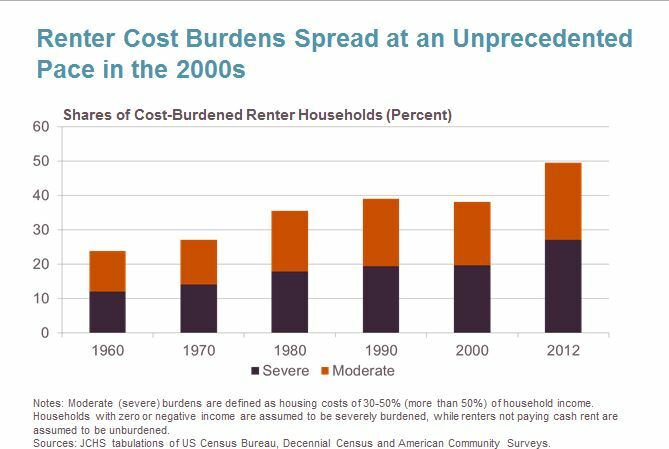 Compare those 1960 rates to 2012, when nearly half of American renters were moderately to severely burdened. This is not a problem that only affects the poor. 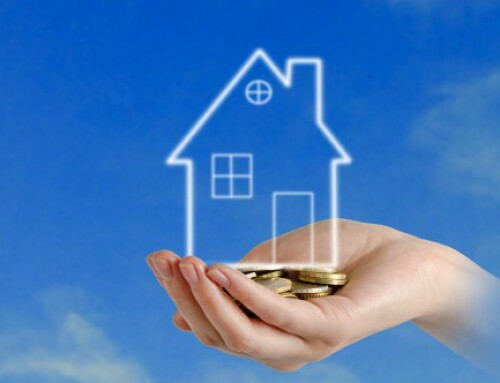 According to US census data, the average household income in 2011 was $51,324. JCHS points out that during that same year, 45% of households making $30-45,000 were burdened, and nearly 20% of households making $45-75,000 were burdened. 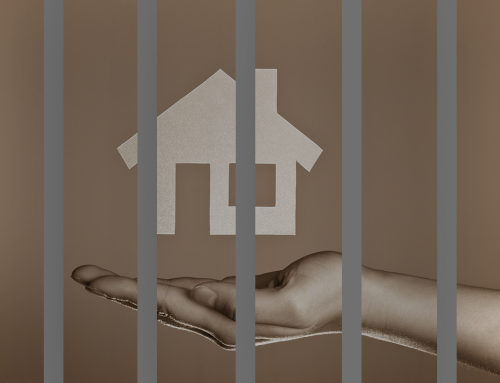 People who need housing assistance face low odds of receiving it. According to JCHS’s numbers, almost 5 million Americans received housing assistance in 2011—but 14 million qualified for it. Those who are fortunate enough to make the cut are getting less help than in years past, however. In 2005, rental assistance covered an average of 28% of monthly rent payments. By 2011, it had dropped to less than 24%. 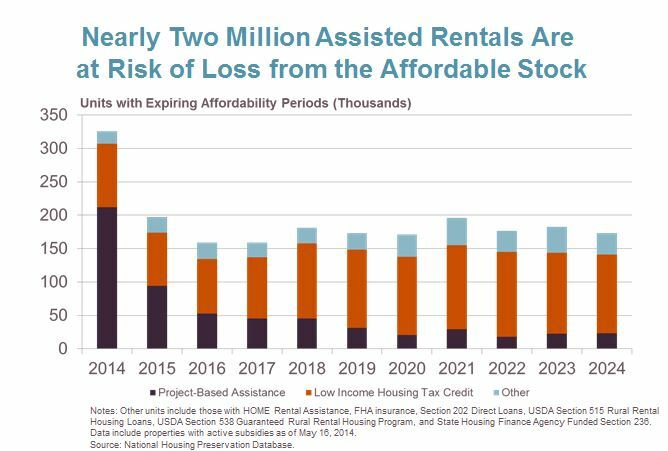 We may lose as many as 2 million assisted rental units from our stock of affordable housing. We already don’t have enough units to help those who need it. We can’t afford to lose any. Our senior citizen population is about to explode. 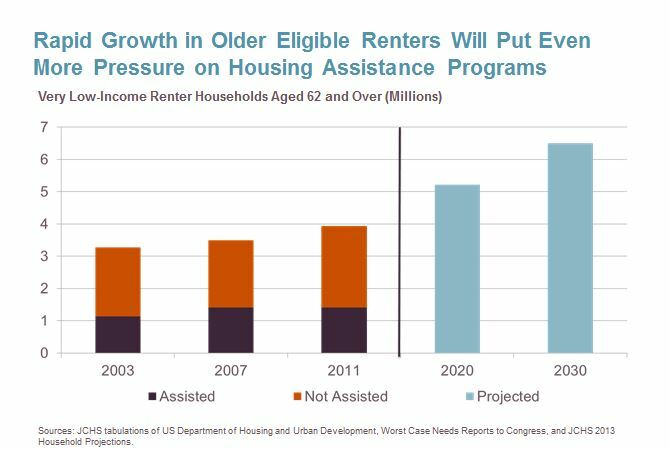 JCHS projects that by 2020—a mere six years away—we will have more than 5 million seniors who are eligible for housing assistance. According to their calculations, we’ll have an additional 1.5 million ten years after that. The situation is dire now but if nothing changes—if we don’t change things—we will soon be looking back to today’s condition as the (comparatively) good old days. Friends, we need a miracle. I have met passionate people over the years, more than I can count, who put their heart and soul into their work. The problem we face is not one of passion. It isn’t that we don’t recognize the need. The problem is that what we’ve always done is no longer working, and we must find new means and methods to address our challenge. We’re going to have to create our own miracle by thinking and acting in new ways. This means new strategies and new technologies. Many of you have already recognized this truth and are trying out new and promising programs. One example is the partnership between Tacoma Housing Authority and McCarver Elementary, where rental assistance is tied to parents participating in and ensuring both their children’s academic success as well as their own career training. Their goals in this program are to help those currently in need of housing, and to break the generational cycle of poverty. The burgeoning 3D printing technology also holds out hope for us. Didn’t your heart beat a little faster when you saw news stories about the ten homes in China that were printed in a single day, each one costing only $5,000 to build? We also need to look at how to streamline our processes and make more of them digital. At NCSHA’s Annual Conference & Showplace, I spoke on a panel about this topic, specifically a digital application intake process. West Virginia has accomplished this already using our portal technology, Procorem, and has noted that it’s saved them considerable money and time, as well as provided more transparency for communication and deadlines. I know our technology isn’t even close to a complete answer for what we face, but it is how I and my company are trying to do our part. And that’s the core of the solution, isn’t it? We all have a part to play. The problem isn’t going to disappear on its own, and there is no neatly wrapped fix. Let’s really begin talking about what we have done, and what we are trying out, and what we hope to do to build our miracle together. 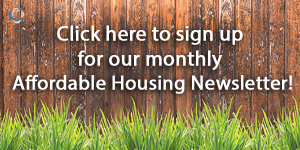 Please feel free to leave comments below about what your organization is doing to create and sustain affordable housing. We would love to hear your story. 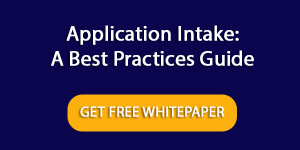 This blog post is from Shawn McKenna, the President of ProLink Solutions. Building off decades of experience in banking, finance, commercial real estate, and software development, he founded our company more than 15 years ago to provide enterprise-level technology solutions to the affordable housing, syndication, and financial services sector. Hardest Hit Fund is Back!